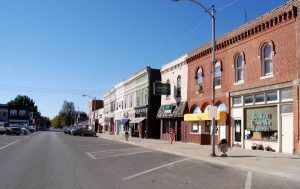 Just two short miles south of Thayer, Illinois, the city of Virden, straddling Sangamon and Macoupin counties, is home to about 3,500 people. 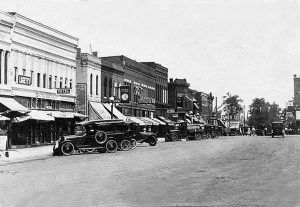 Established in 1852, the town was named for John Virden, who kept a popular stage stand about two miles south of where Virden would be built. He reportedly opened the stage stand about 1838 at the intersection of the Springfield and St. Louis stage line and the Springfield and Vandalia stage line. It was known throughout the area as the Virden Stand. The completion of the Chicago & Alton Railroad spurred the establishment of Virden, which was laid out by Heaton, DuBoise, Chesnut, Hickox, and Keiting. The first lots were sold in October 1852 and John Virden, for whom the town was named, built the first commercial building — a hotel known as the Junction House. The first house was built by Alexander Hord and the first store was opened by Henry Fishback in November 1852. Early the next year a dry goods and grocery store were opened, which also held the post office. In the spring of 1853, the first school was taught in the home of Mrs. James Hall, and that summer a blacksmith shop and Mill were established. Methodist Minister Edward Rutledge spoke the town’s first sermon in the hotel, but, later the congregation built a church. Before long, there were several churches, more businesses, and a local doctor. In January 1855, Virden and the entire area suffered one the most destructive and severe snowstorms yet known in the region. The stock was frozen to death, the passenger train was blocked in a cut just north of the village limits and the train was stopped for several days. The storm was so severe that passengers had to remain in the cars while provisions were carried to them by residents of the town. In 1869, the first coal shaft was sunk near Virden and the following year, the people of the village voted $30,000 for the building of the Jacksonville & Southeastern Railway. The whole length of the road was 31 miles and was finished by the end of 1871. Within no time, freight was coming into town and carload after carload of coal was being shipped out by the Virden Coal Company. Over the next several decades Virden would support 21 different coal mines. 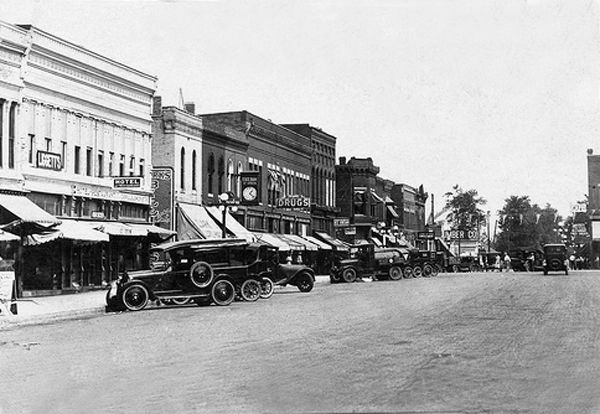 By 1890, the town boasted a tile factory that was turning out 20,000 feet of tile per week, area mines were employing hundreds of men, two railroads were running through the city, new businesses had come to the town, which was then called home to about 1,600 people. 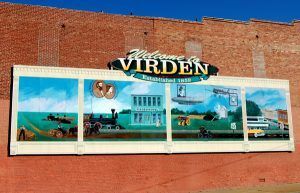 Though Virden was growing and prospering, many of its residents were not happy, as life for miners and their families was difficult. Work in the mines was dangerous and dirty, the miners breathed stale dusty air that often caused them “Black Lung” disease; they were sometimes subject to noxious fumes, and mine explosions causing deaths occurred far too often. 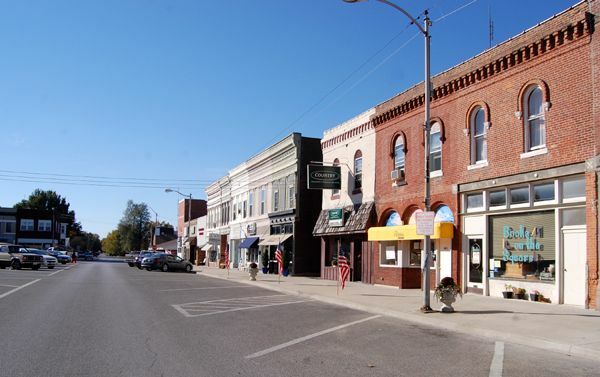 However, their biggest complaint was usually about pay and the monopoly of “company towns,” which generally “forced” them to purchase goods and supplies from company stores and to rent their homes from the company. Making matters worse, mine workers accused the coal companies of recruiting men from Europe, who would work for less and create an oversupply of workers. Their complaints led to organized unions and in 1890, the United Mine Workers of America was formed. In addition to joining unions, the miners also elected sympathetic politicians who began to pass laws dealing with safety, company stores, and fairness in pay. But, the most successful tactic was the strike, several of which had occurred in Illinois in 1868, 1874, and 1877. 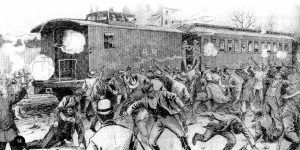 Strikes were often accompanied by violence, as company property was destroyed, trains were derailed, and railroad bridges burned to stop the coal from shipping. In retaliation, miners were sometimes fired upon by hired company thugs. In 1898, a bitter coal strike broke out in Virden when the Chicago-Virden Coal Company fought the unionization of its mines and refused to pay their miners union-scale wages. Undaunted, the coal company then built a timber stockade around the mine and brought in African-Americans from Alabama as strikebreakers. This infuriated the striking miners even more. On October 12, 1898, when a train loaded with strikebreaking miners pulled into Virden, it was surrounded by strikers. However, the mine manager had previously hired security guards which were posted around the stockade and on the train. Armed with Winchester rifles, the security guards opened fire on the strikers, many of whom were also armed. In an all-out gun battle, six security guards and seven miners were killed. Another 35 were wounded. After 20 minutes, the train finally pulled away, with its would-be strike breakers still in their cars. Afterwards, the city was under martial law for several days and the train refused to stop in Virden. Finally, a month later, the company finally granted the wage increase. Though “coal wars” throughout the state would continue until 1900, the Battle of Virden was also credited with the winning of the 8-hour work day for hourly mine workers. A large granite and bronze three-dimensional memorial in the town square commemorates the battle. 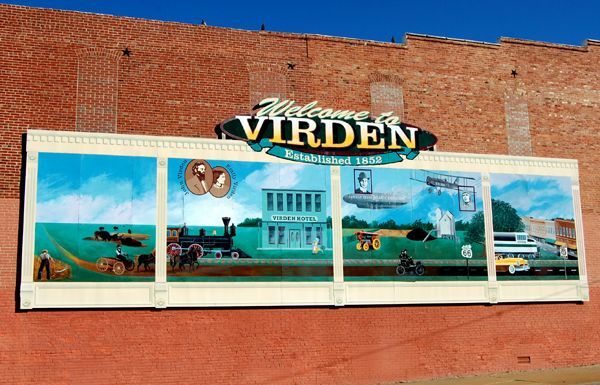 By the turn of the century, Virden sported four churches, a bank, two newspapers, flour mills, brick and tile works, a machine shop, extensive coal mines, and about 2,300 people. During the 20th Century, more mines were opened and operated until their coals seams were diminished. Today, there is only one producer near Virden; however, Macoupin County remains one of the state’s largest producers of coal. Today, this city of about 3,500 people is economically based primarily on agriculture with corn and soybeans as the chief crops. There are a number of interesting buildings on Virden’s downtown square as well as a mural on the post office building and another that depicts the events of Virden’s history. If traveling the old stretch of Route 66, continue your journey about four miles on IL-4 to Girard.